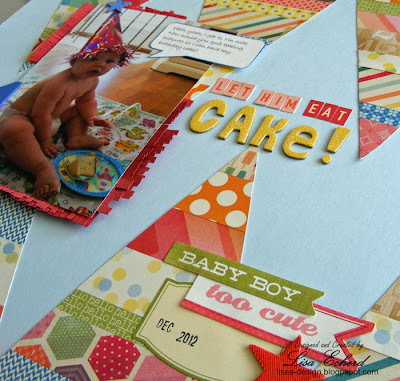 Lisa E Design Blog: Let him eat cake! I love the paper piecing and what an adorable photo! Awesome piecing work, Lisa. They remind me of party hats. So adorable! I can see why you chose this layout as your fav! Such a sweet sweet layout. I adore the paper piecing!